If you are struggling to make your mortgage payments, selling your home in a Short Sale can be a great alternative to letting your home be foreclosed upon. The term Short Sale is sometimes confused with selling your home quickly but this is not the case. Short sales means you are trying to sell your home to a buyer and the sale leaves you "short" of having enough proceeds to pay your lender what is owed on the home. It definitely doesn't mean selling quickly as most short sales take much longer than a traditional home sale. Selling a home in a Short Sale is more complicated than a typical transaction but most sellers who complete a successful Short Sale minimize the damage to their credit scores and are often able to purchase another home in a fraction of the time it takes for someone who has had a home foreclosed upon. Having a foreclosure on your financial records can ruin your credit scores and this would have an effect on your ability to not just purchase a home in the future, but your ability to purchase a vehicle or other items that require you to obtain a loan. 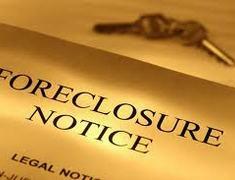 In most cases, once a lender agrees to a short sale they won't require anything further from the seller. Tax laws are constantly changing and it's important to check with a CPA or real estate attorney if you have tax or legal questions. To get the short sale process moving, you'll have to get your home listed with a real estate agent. Only a small number of agents truly understand the ins and outs of the process so you'll want to be sure you select a knowledgeable short sale agent. In some ways, a Short Sale will follow a similar path of the typical real estate transaction, but in many other ways it's completely different. One important aspect being the seller doesn't pay the real estate commission in a short sale, the lender would do so if they agree to a short sale. A short sale property will usually be sold as-is which means the seller isn't going to have to come up with money to make any repairs. A short sale can be a great way to get a homeowner out of a home they can no longer afford or sell otherwise. The lender will need to see the home is under contract with a buyer. Since short sales take longer than a traditional home sale and because there is no guarantee a seller's lender will accept a short sale, buyers will be looking for a fair price to get involved. A special Short Sale Addendum will be included in the contract which explains to homebuyers that a close date can't be assured because the short sale won't go through without the approval of the seller's lender. A buyer still retains their right to inspect the home and after conducting inspections they can accept the home as-is or they can cancel the contract. When selling in a short sale, the seller must complete a Short Sale Package which includes detailed financial info on the seller and also includes information on what has changed since the seller took out the loan and which keeps them from being able to continue making their mortgage payments. Most lenders will consider a short sale because a short sale is often better than the costs involved with foreclosing on the home. A lender will pay for an appraisal on the home and will then use this appraised value to decide if they'll accept the short sale. Lenders are ultimately going to go with the option they feel nets them the least amount of loss, not what's in a homeowner's best interest. If they decide foreclosure is a better option, that's what they'll do and this aspect of the process can make short sales unpredictable. * Is this your primary residence? * Do you own any other home? * Are you behind on your mortgage payments? If yes above, how many months behind? If behind, have you receive a Notice of Default? * Name of primary mortgage lender? List name(s) of any secondary mortgage lender(s)? * Any communication with lender to this point? * How much do you owe (primary mortgage balance)? If you have a 2nd mortgage, how much do you owe? What TYPE of mortgage loan(s) do you have? * What price do you think the home could sell for? * Do you have significant funds in a bank account? * Do you have other large assets (not retirement)? * What hardship will keep you from making payments? * Is there any chance you would file for bankruptcy? * Short sales often take 2-8 mo's, are you patient?